the illusion of forcing a rod to bend or a sphere to fall out of its position of balance and strength. American Indian builders all around me. 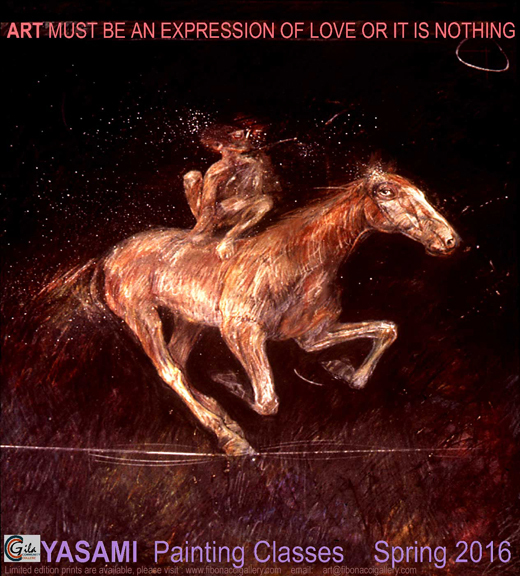 Fibonacci Art Gallery Copyright ï¿½ 2003- 2016 is the exclusive representative of Masoud Yasami's artwork. Phoenix, Arizona. copyright protected Copyright ï¿½ 1968-2017 Masoud Yasami. All Rights Reserved. 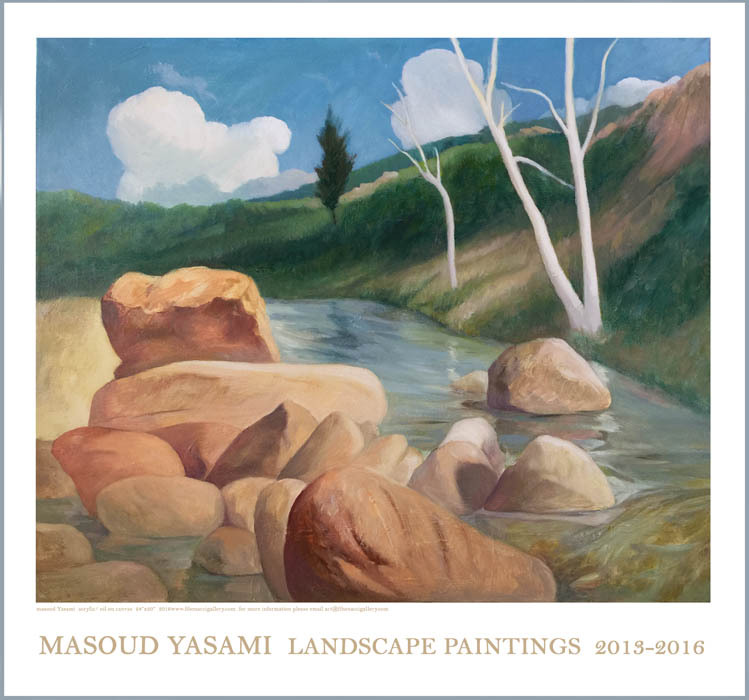 (American, 1949) An Arizona artist, Masoud Yasami, does not align himself with any regional artistic group. 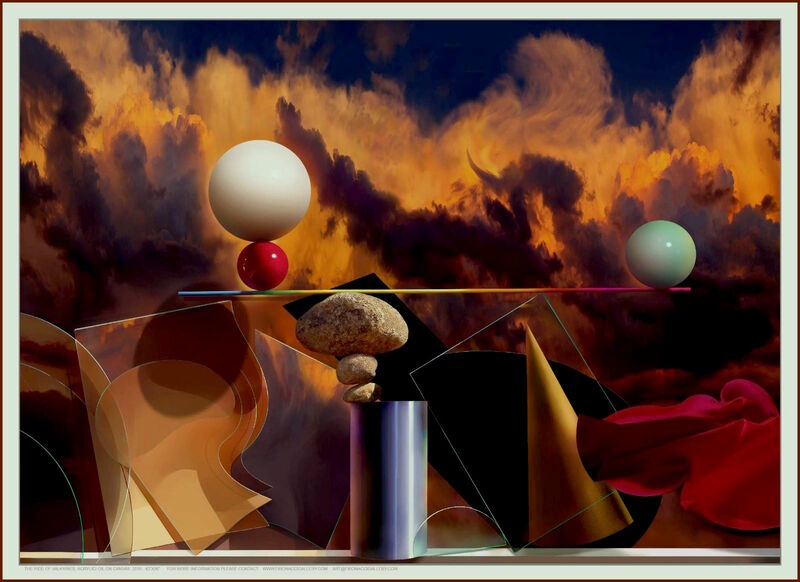 His abstract multi-dimensional works deal with space, color, illusionism of balance and chaos. 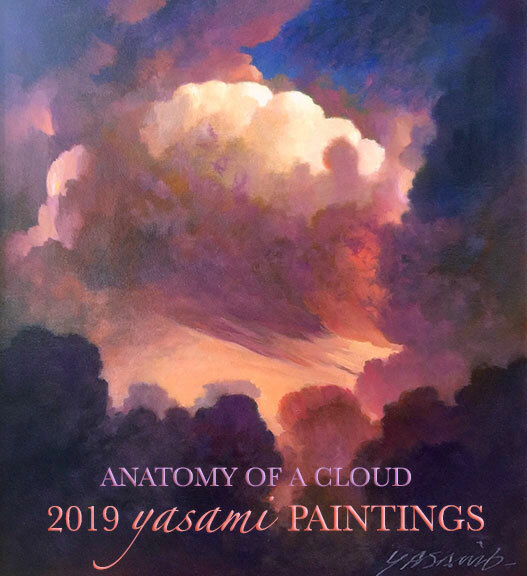 Embracing many mediums and materials, Yasami works with acrylic/oil paint, airbrush, paper, canvas and Bronze, transforming and constructing shapes into an illusion of realism that is about classical objects, clouds and skies that are painted to appear as wall reliefs. 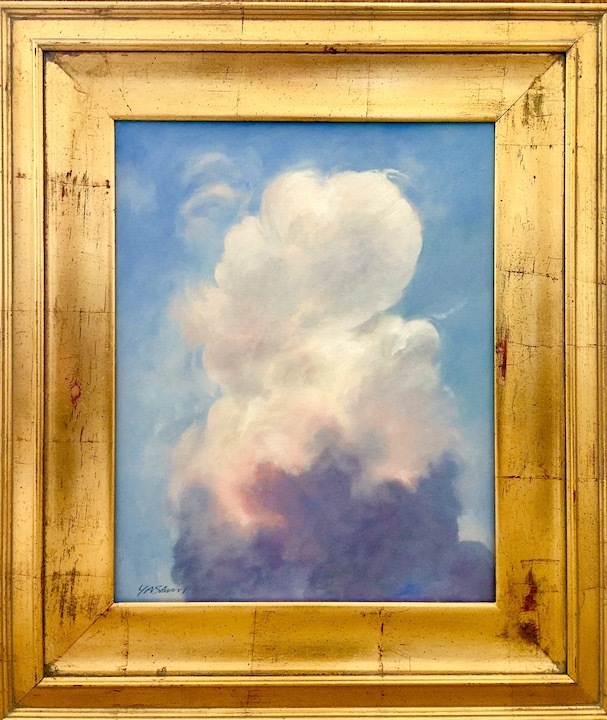 Masoud Yasami was represented exclusively by Elaine Horwitch owner of The Elaine Horwitch Art Galleries in SantaFe and Scottsdale from 1978 - 2003. 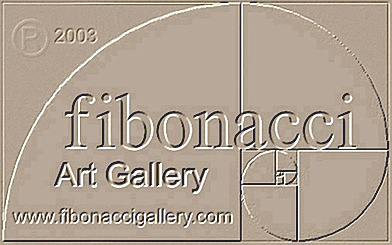 Fibonacci Art Gallery became artist's exclusive representative from 2003 after Elaine passed away. 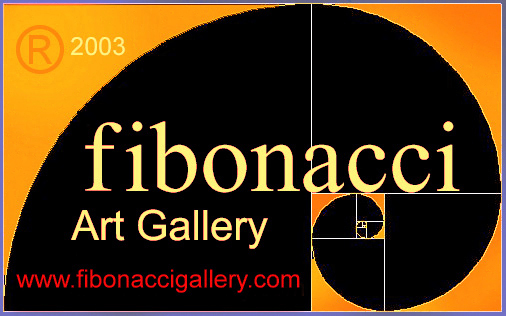 Fibonacci Art Gallery was founded and registered in Feb. 2003 to promote and represent Masoud Yasami worldwide and to catalog and to gather particular works for travelling exhibitions of artsist's works. 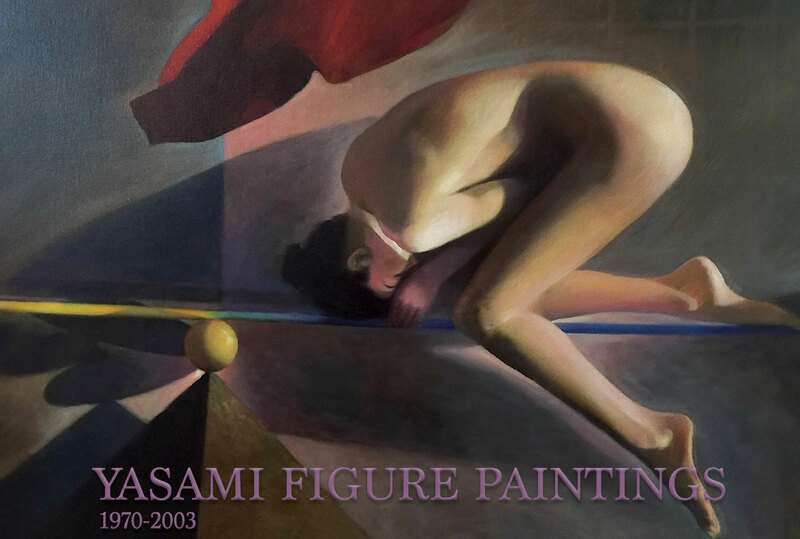 Yasami's paintings are in major private collections and Museums in US, Europe and Middle east. 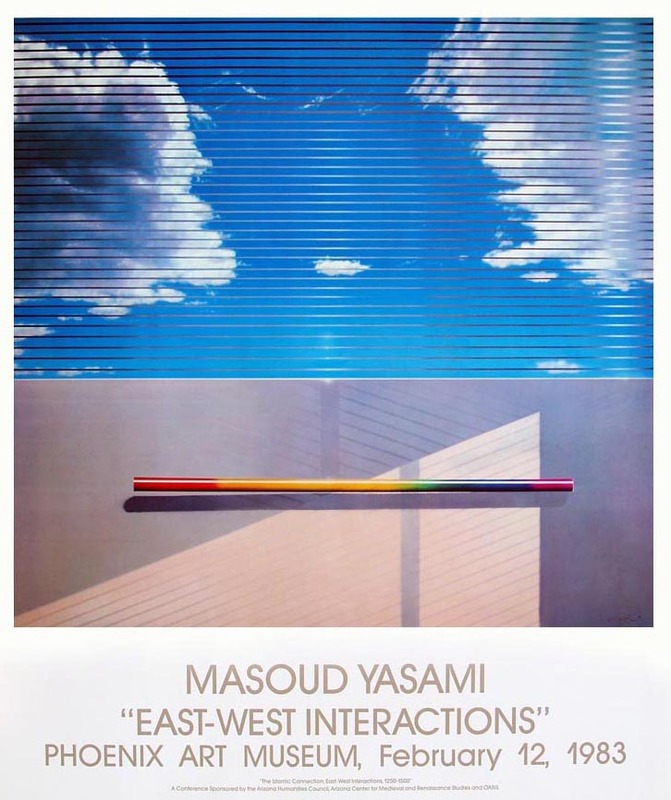 Yasami has been a Distinguished associate Professor of Painting at Arizona State University and assistant professor of art at University of Utah and has lectured at universities across US including University of Oregon, Oregon State University, Art institute of Boston, University of Wisconsin, University of Nebraska Arizona state University and Farabi University among others. 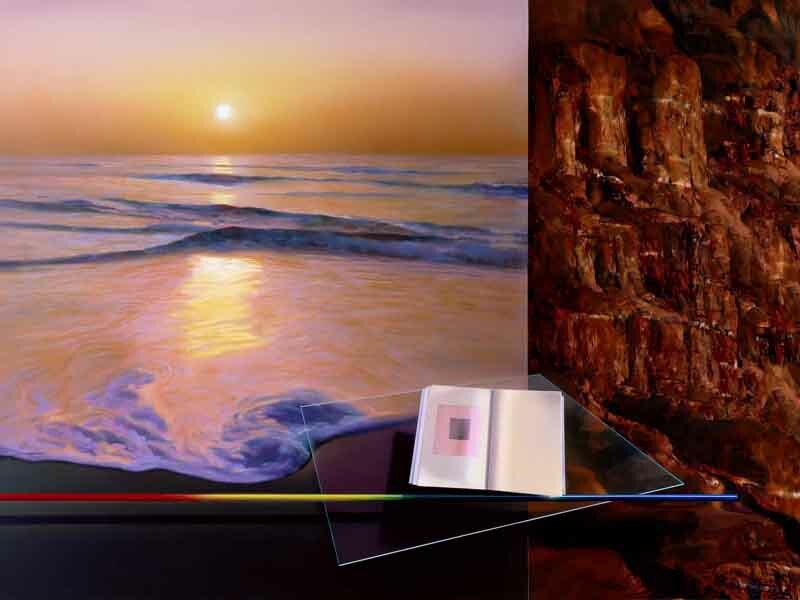 My paintings are from an intuitive connection to understanding of both peace and upheaval. A wordless message through imagery by blending the natural beauty of disorder with the disciplined order of both balance and unity. Flawless compositions to draw your attention to the simplistic and the complex, an intellectual journey without losing the natural knowing of things. What is the message? Where does it originate from? I suggest, stay even in your experiences, be either uplifted by praise or grounded by criticism. Feelings kept in check to and tested to see if they are important enough to act upon and be accepted as seriousness. Clear and delicate observation supersede. Logical, intuitive solutions resolve personal conflict. 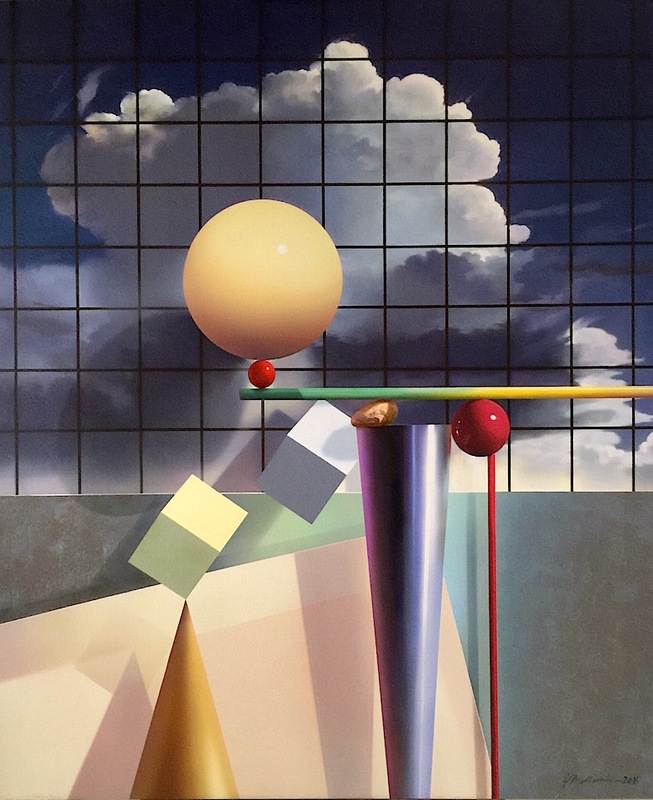 With a backdrop of disabled symmetry, the foreground suggests necessary arrangement and rational organization to arrive at ones adaptation to the meaning of life. Natures necessary and seemingly erratic disorder is one in the same to perfect, symmetrical and geometric harmony. Gravity acts as a push rather than a pull and the images can relieve the viewer of the personal burdens of confusion. The brief moments that it takes for a sunset to occur and diminish can be experienced by human beings impacting lifelong inspirational sensations with disciplined restriction both necessary to stay in unification to the natural. With shadows being cast on the certainty of a determined outcome we are always at the mercy of there being an unexpected alternative. Certainty and sophistication teetering on the brink of unforeseen circumstances. The cycle of past experience and present existence continuously reflect on one another in the ever changing unpredictable way forward. Negative forces being tamed by neutralizing sequences of determination and resolve. A perfect blend of depth and restraint. 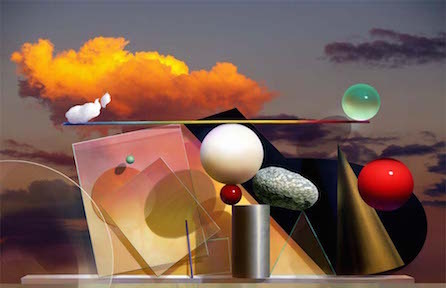 Masoud Yasami 2015 CLOUDS: They have soft edges and provide a contrast to the harshness of pure geometry. They float over my universe and are free to go everywhere. They can change color and direction. WATER: It can be seen as pure movement. It is motherly, a symbol of life, a dynamic force! very feminine. They obey Newtonï¿½s law. CIRCLES: They symbolize perfection and femininity. ROCKS: Irregular edges, harsh and chaotic, in contrast with clouds; they represent the pressures of the world! GLASS: If glass breaks, the silence is broken. It is transparent and reflects light and vision from either side. A rock in close proximity to glass creates conflict and a sense of danger. BALANCING RODS: The artist is always walking a tight rope! 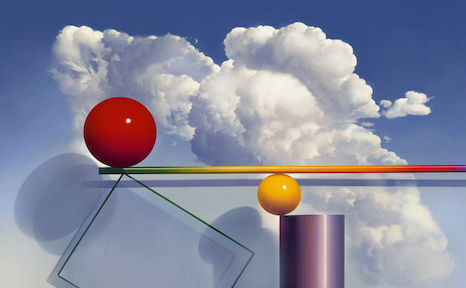 Balancing rods represent a mental balance. TRIANGLES: Euclidean shapes. Pure mathematics. GRID: They are used to sandwich the different elements together. They signify containment, almost like prison bars. The viewer cannot penetrate into deep space. They represent limits or barriers to our desires. RECTANGLES: A rectangle can be to the painter what harmony is to a musician. It gives a balance that is soothing to the mind. DIAGNOLS: Diagonals create deeper space and two-dimensional perspective. The focus is the converging point. The trademarks, Logos, Artistic Names and Digital Images are properties of Yasami studios. Users are prohibited from using any Names for any purpose including, but not limited to use as metatags on other pages or sites on the World Wide Web without the written permission of MASOUD YASAMI. All information and content including any digital images available on or through the Site ("Content") is protected by copyright. Users are prohibited from modifying, copying, distributing, transmitting, displaying, publishing, selling, licensing, creating derivative works or using any Content available on or through the Site for commercial or public purposes.